In the mail-order trade, exact item master data is required for warehouse management and picking. To get it, an accurate calculation of the dimensions (length, width, height) as well as the weight of the items is necessary. The zippcube will improve the quality in this process easily. This is important for choosing the best option for transport and storage space and is also essential for accurate freight billing. The BOSCHE “zippcube” volume scale has four laser-welded load cells which ensure reliable weighing. 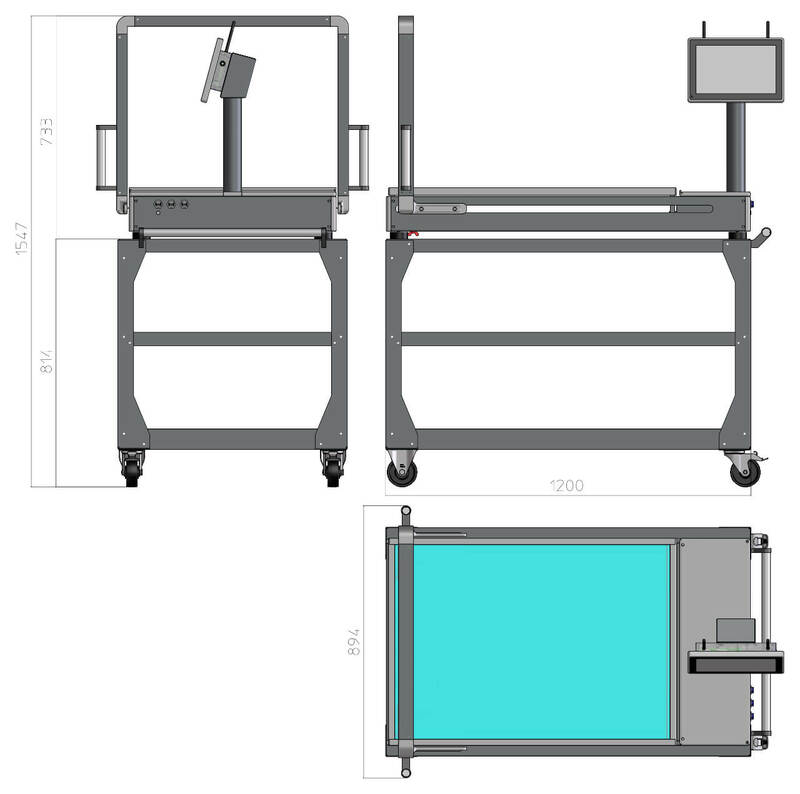 A sturdy and flat scale frame allows the easy application of the objects to be measured. Particular care was taken to keep the entire weighing technology as free of maintenance and wear as possible. The semi-automatic recording of data takes place within seconds. 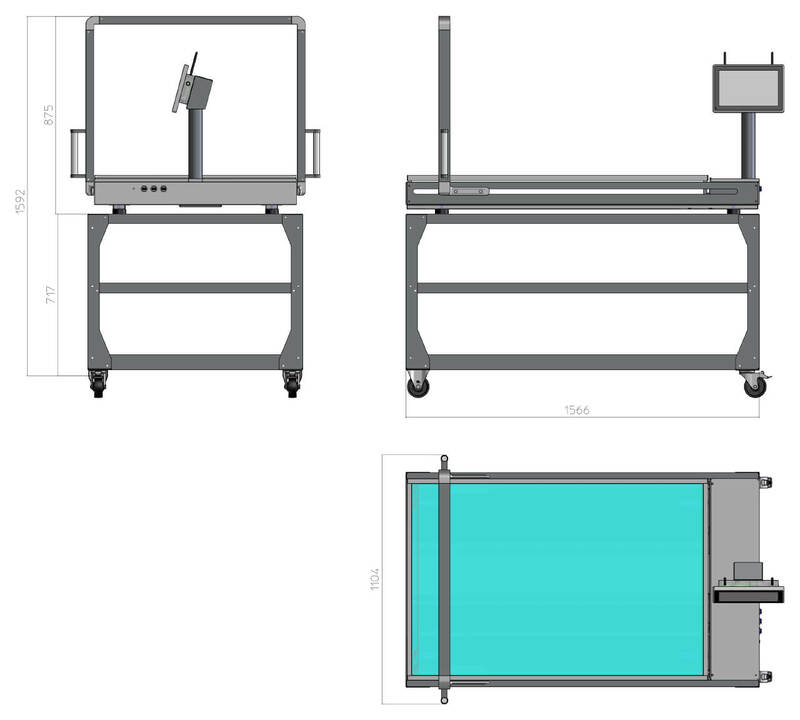 Two pairs of high-precision light curtains scan the objects to be measured (no matter what their shape) and ensure contactless -dimension detection. The intuitive-to-use, configurable software included presents all of the data clearly at a glance. These values can then easily be transferred to existing merchandise management and dispatch systems. 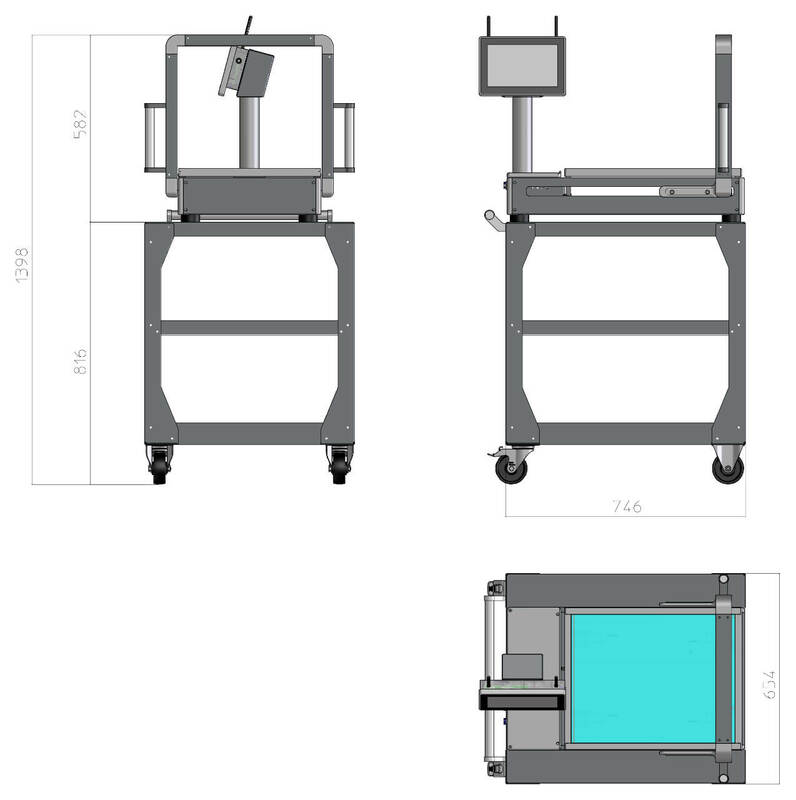 Semiautomatic non contact volume and weight measurement - measure and weigh irregular-shaped items for distribution, packaging and warehousing applications. The included software visualizes weight and dimension data directly on your Windows computer. Optionally, you can enhance the system further with some useful features. 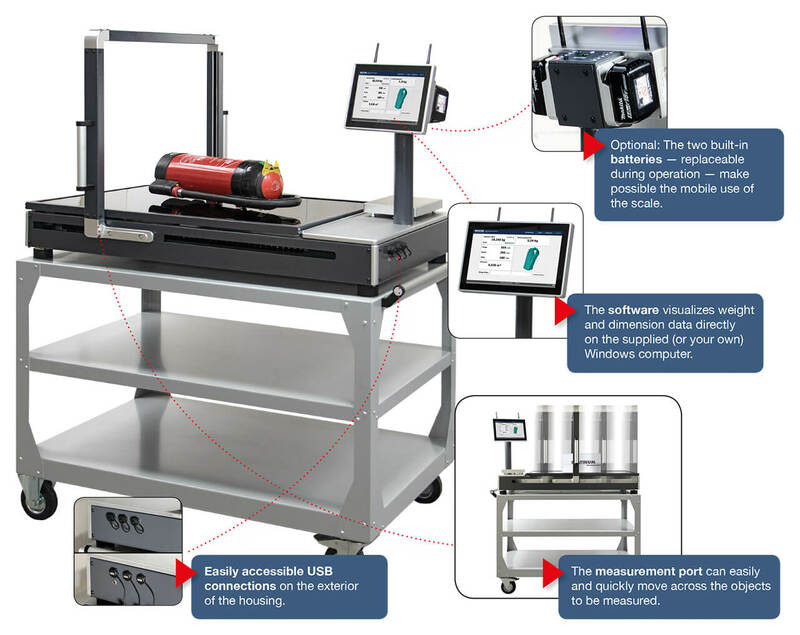 For instance, a camera can thus record the respective product photo for the master data, a hand scanner enables the scanning of barcodes and a dolly, in combination with a self-sufficient power supply, turns the Bosche volume scale into a mobile workstation. Is it particularly important to be able to operate in a minimum amount of space or should oversized packages/items be recorded too? You can choose the appropriate zippcube from three different versions for your specific application.